New Jersey Gov. Christie has reversed his decision to remain on the campaign trail amid preparations for a major snow storm in his state -- and criticism from the New York mayor -- saying that he will return home. 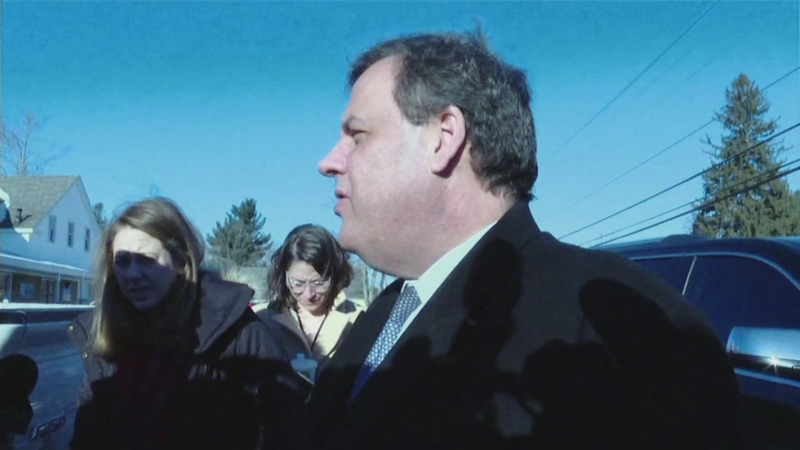 Christie is in New Hampshire campaigning for the GOP presidential nomination. He announced at a town hall meeting earlier Friday that he was returning that afternoon. His wife, Mary Pat, will continue on with his New Hampshire campaign events, but a scheduled night town hall meeting was called off. "I was going to stay through Monday ... people get nervous about snow, feel comforted by my presence," he said. "If I don't go back, they'll criticize me." Christie participated in a storm conference call Thursday night with members of his cabinet and said afterwards that he planned to receive another briefing Friday. "If I feel like it's necessary for me to get down there, I will," he said at the time. "But I'm not driving a plow truck, OK? We have all of our people ready to go. They know what to do. We've been through Hurricane Sandy, this cabinet, so 6, 8, 10, 12 inches of snow on a weekend will not be something that I think will be more than we can handle." But Friday morning, Christie said he might go back. "If I think it's necessary to go back, I'll go back," he said in response to a question from ABC. New York Mayor Bill de Blasio, when asked on CNN Friday morning about Christie's absence in New Jersey, said he thought the governor needed to return. "A day or two ago, it might have been a question mark. Right now, it's not a question mark anymore," he said. "Obviously, we are being warned it could be even worse. We find this out with each storm." "It's very important just to be at the front and understand what's going on," he said. De Blasio did recognize Christie's work during Superstorm Sandy in 2012. "He should remember those lessons," he said. "This is more important than politics. This is protecting people, making sure everything is being done that can be done. We are looking at a projection that is bad enough. But we have to be ready for the possibility it could be worse."